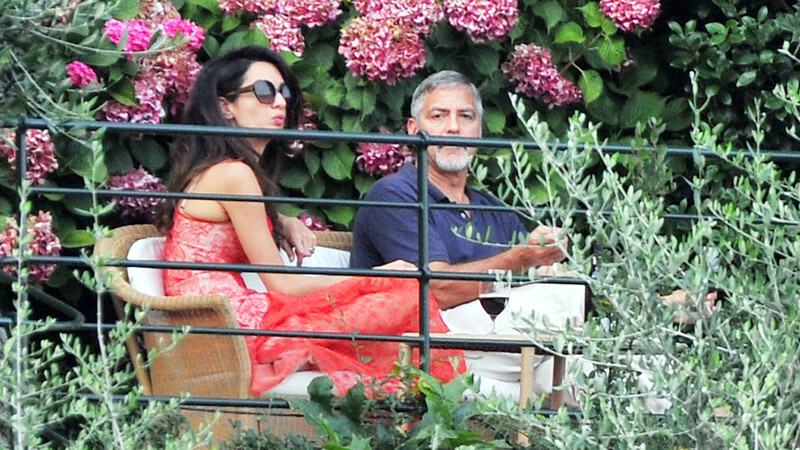 Amal and George Clooney spend some days in Portofino, italy. 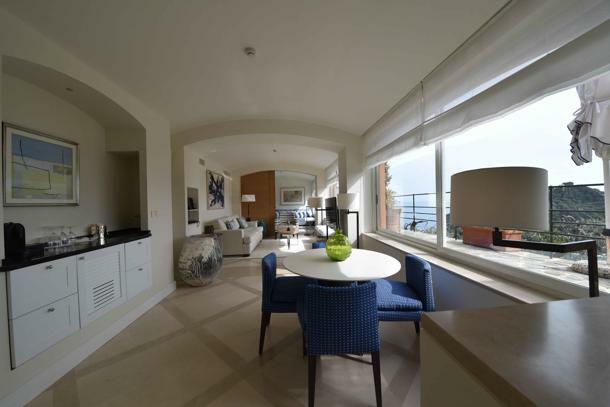 They arrived in their Fiat 500 Abarth and took the Dolce Vita suite at the Hotel Splendido. 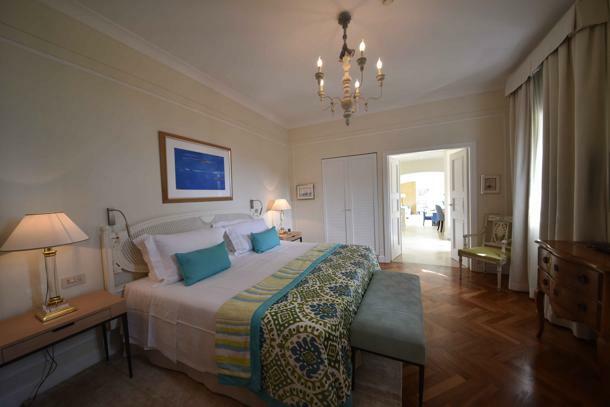 Some pictures of the Dolce Vita suite via Il Secolo XIX. Oh, Nati, Nati, Nati! 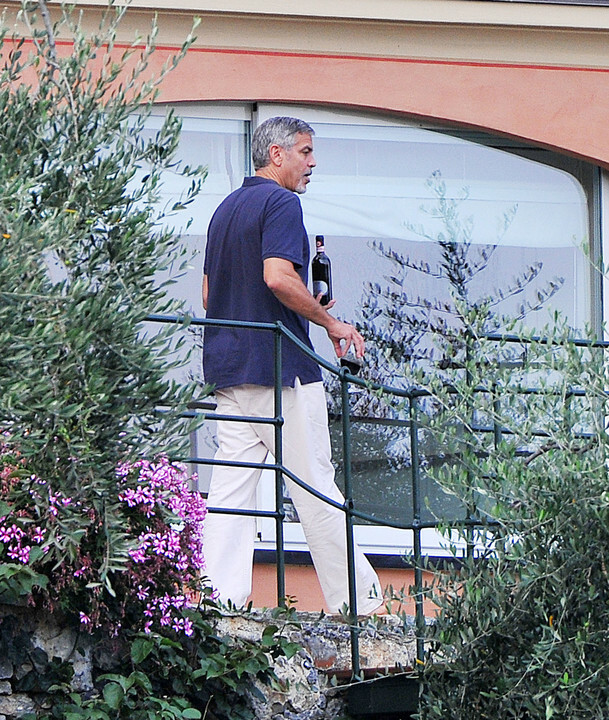 It’s summer time à la Clooney style = Lots of new clothes to look at! Probably not because blogs like this report their every move. Portofino is one of the most beautiful places on Earth and I absolutely love hydrangeas. 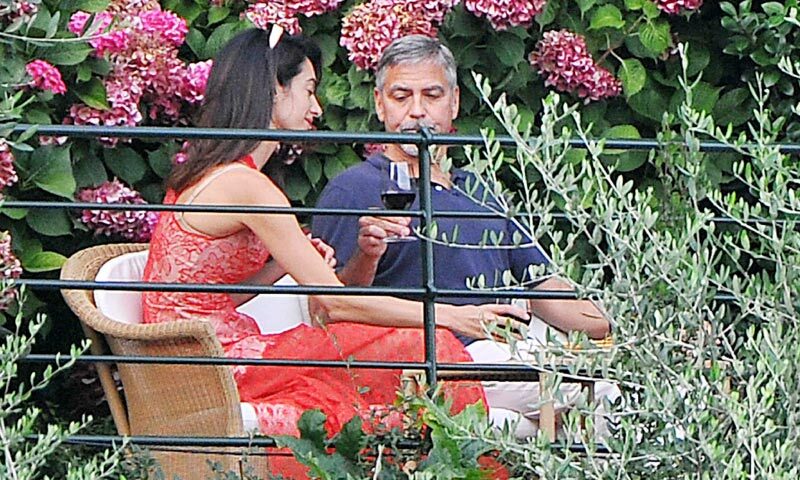 Whilst Amal may be interested in a fashion line or some other facet of the industry, does she always have to overdress for the simplest of occasions? I mean, they are supposed to be alone on vacation. Or is she calling photographers so as to display her fashion choices? 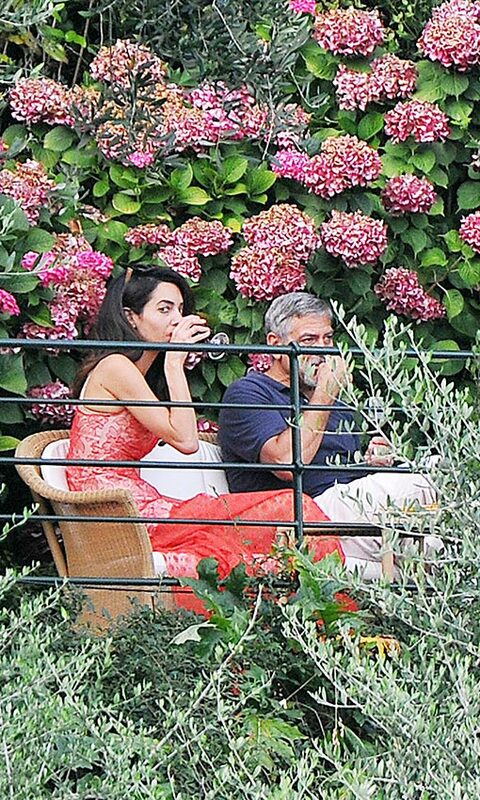 For once, I wish she’d just relax and enjoy the company of her husband and the stunning surroundings. I think they were trying to enjoy the outdoors and were distressed by the photographer. She likes to dress up – nothing wrong with that. 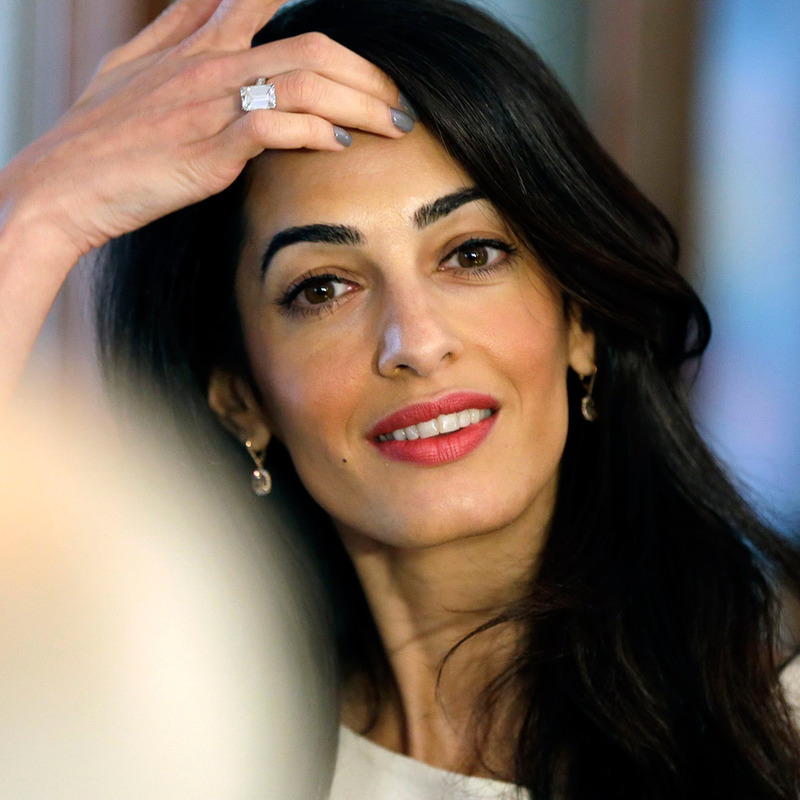 Amal enjoys dressing up which many women do. I am sure she is enjoying her time with George they look very happy. I also think George loves how she dresses he has said she has great style. If she is happy what does it matter what she wears he wears what he likes and she wears what she likes . If I were there I would dress up too what a beautiful place why dress down nothing she is wearing looks uncomfortable. These sunglasses look “new”. Do you have an ID on them. In some photos the temple looks beige and in one photo it looks darker. I like them either way. She really likes the nightgown-worn-as-regular-clothes look. 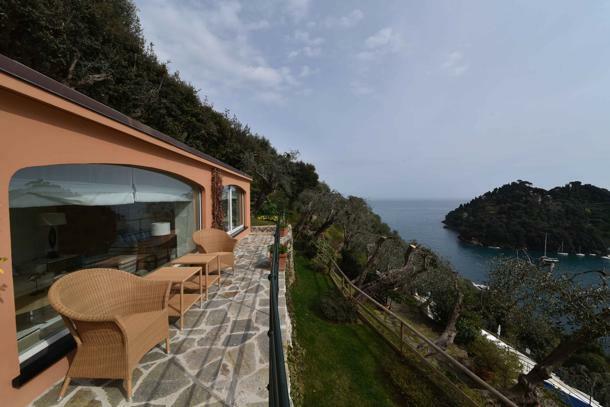 You guys…I ate at La Terrazza this weekend in Portofino!! It was amazing and EXPENSIVE! Ha…125 euros for lunch! 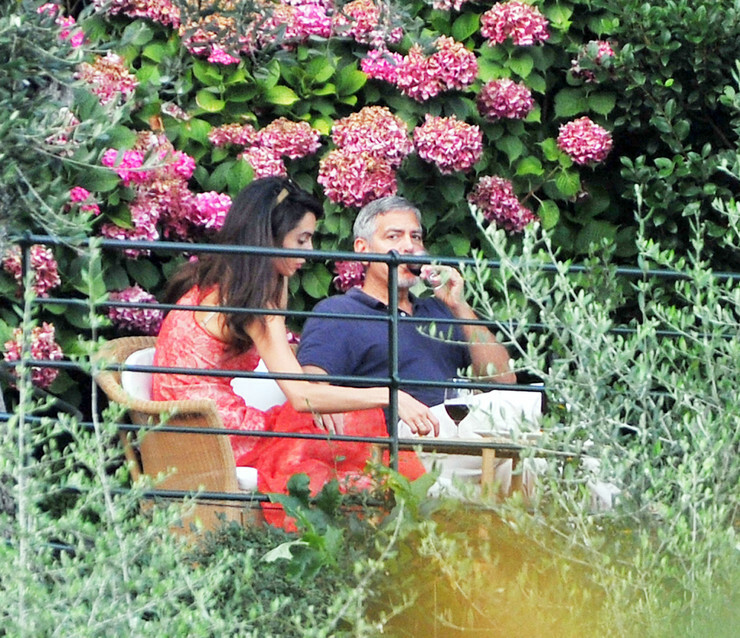 Totally for George and Amal’s wallet but not mine. Still..it was amazing and the food was incredible. !!! !